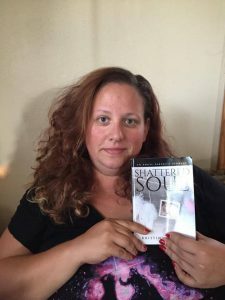 Widener, who loves to read, cook, crochet and resides in Ohio with her two children, the love of her life and his three children, is a writer and an editor who is passionate about her family and her cause. She aims to break the silence of child, infant and pregnancy loss to give angel parents a voice and to teach the rest of the world how to handle it when someone they love loses a child. My children inspire me in everything I do, but in this case especially, my youngest son that passed away. I want his story, and my story, to help others. I write what comes to mind at the time. My writing is very emotional, so there are times I need to focus on the emotion at hand more than anything. Don’t give up, follow where your heart leads you. Everything just fit the best with my publisher. I looked at many different avenues of publishers and self-publishing, and this was the best fit for what I wanted to achieve. It is going to continue to evolve and change with the times but it will never go away.